When E-dawg was here, it rained a lot. I tried to brainstorm ideas for activities in the clouds and rain and one we considered was a scenic train. 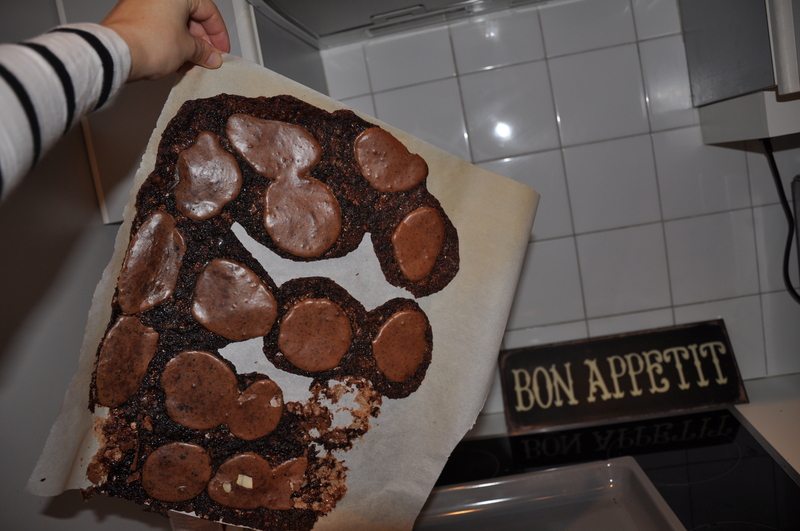 However, I wasn’t sure how this would be. 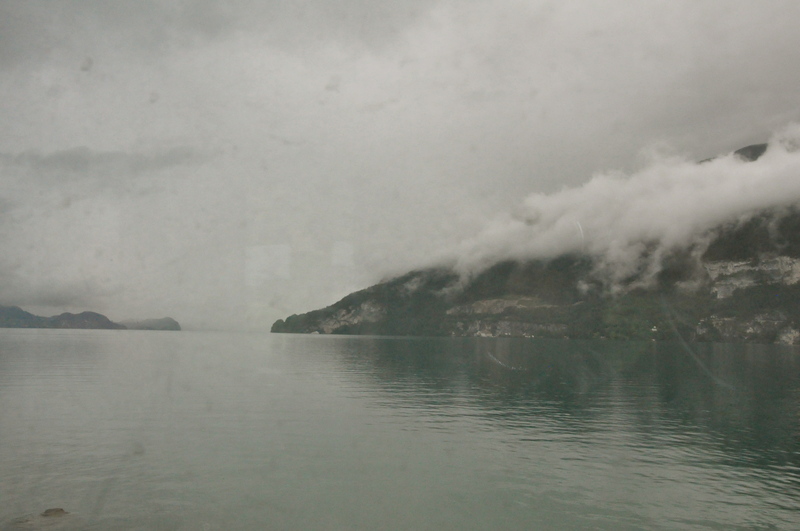 On one hand, you don’t have to get wet at all in order to see the magnificent Swiss countryside. On the other hand, would the rain ruin the view & visibility? I Googled it, but didn’t get much information. Luckily, when we took the Golden Pass, the sun came out for E-dawg and I. Unfortunately, I never found out the answer. Twin & Solid knew they wanted to take a scenic train, so I recommended we take The Golden Pass back from Lauterbrunnen, since Gabe had to return earlier to Geneva to get back to work. That way, we could take our time going back and stop in towns that looked intriguing. However, the forecast was dreary. Rain was predicted in every town we were to pass through. The scenic trains aren’t cheap, so I posed it as an option to them that we could all ride back with Gabe if they preferred. The downside would be a 5am departure to go back in the car with him vs. a relaxing and leisurely wake-up. They decided to roll the dice on the weather. And, remarkably, we had a great day. 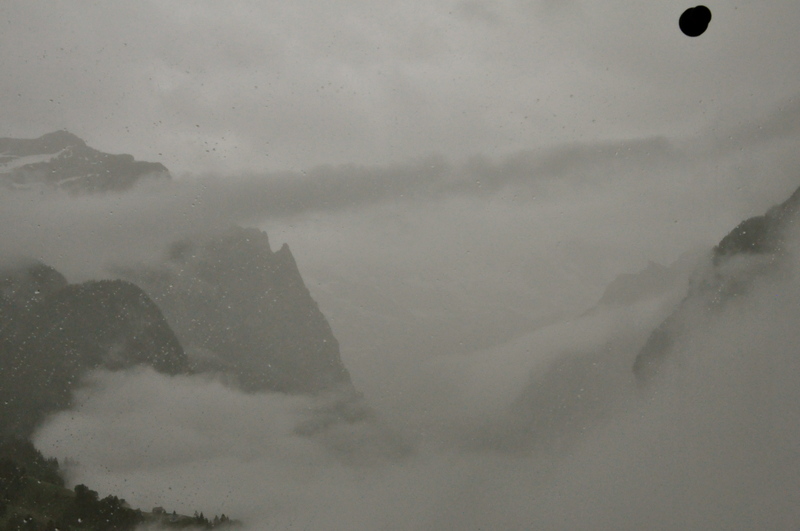 So, for those traveling on Golden Pass, worried about the weather, I’d recommend you just go for it. Wow. 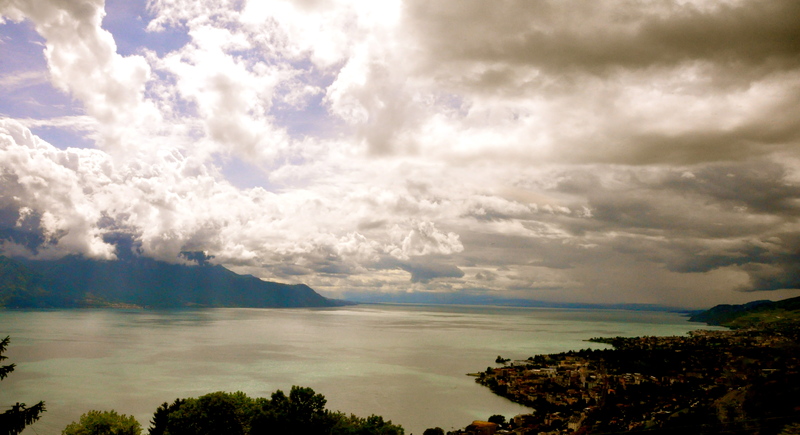 The cloud cover showcases varying blues in Lake Geneva. Maybe the clouds were a good thing after all? 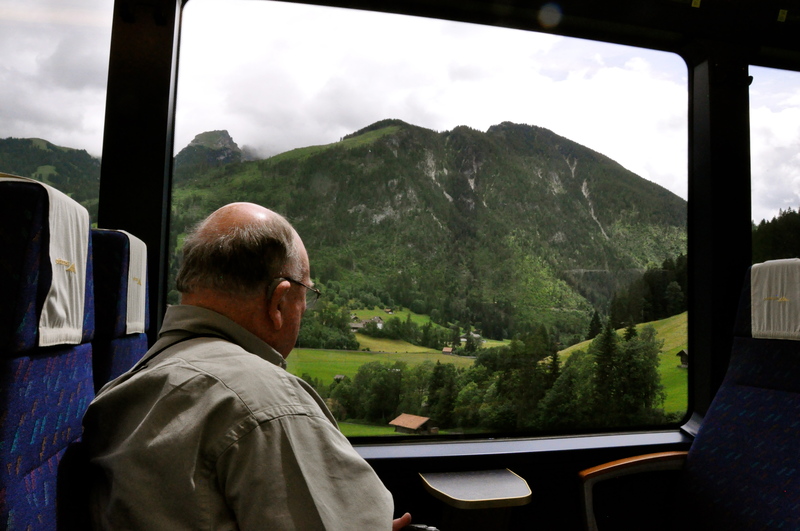 The overcast Golden Pass train ended up being one of our guest’s favorite days. 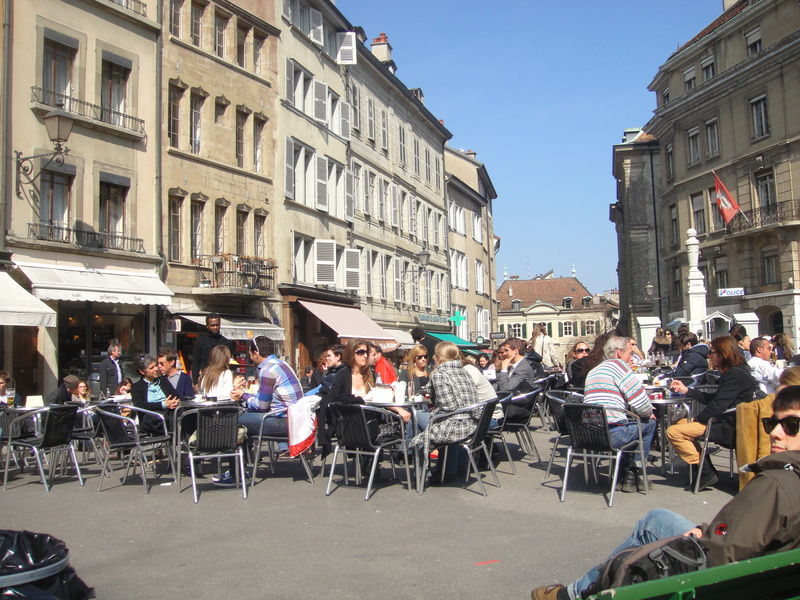 As I mentioned in a previous post, Geneva benefitted significantly when well-educated, skilled tradesmen found refuge in the city during the Reformation. One such way is in timepieces, most importantly, the wristwatch. Due to John Calvin’s strict hold on the city, he did not appreciate any luxurious items being created just for luxury’s sake (for more on this, read about Old Town and the Cathedral). So, those goldsmiths and silversmiths had to find some practical activity in which to dedicate their talents. Keeping time was practical. 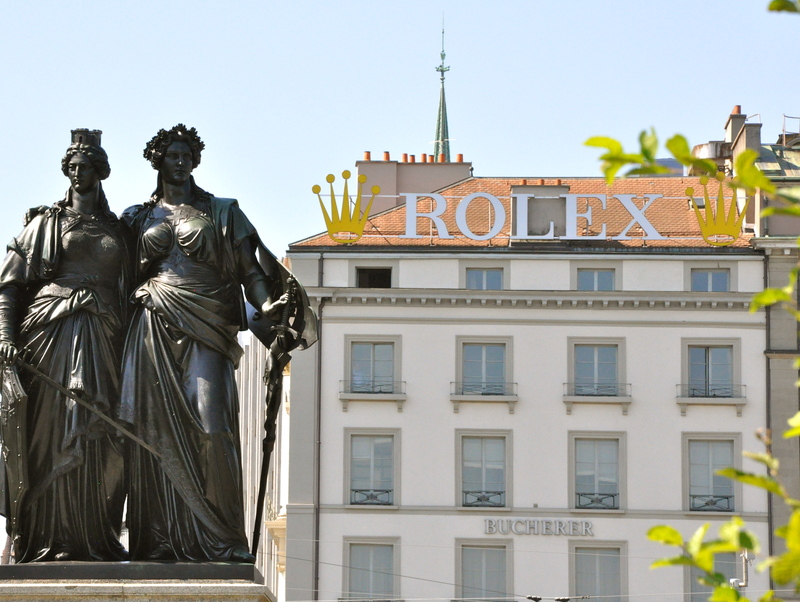 Thus, how Geneva became known for the wrist watch. Everyone wants a Swiss wrist watch. They are known for their exquisite detail, design and reliability. And, you can’t walk very far in Geneva without hitting a store selling them. However, don’t get excited about buying a Swiss watch when you visit us. With the exchange rate and price of goods in Switzerland, it’s much cheaper to buy your Swiss watch in the US. 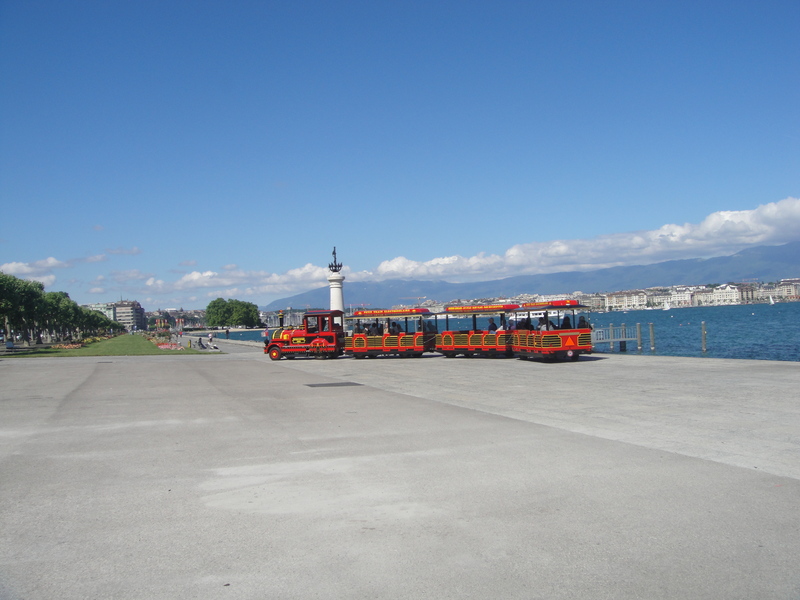 Typical landscape of Geneva. Watch store after watch store. If you like watches, when you visit us, you can tour the Patek Philippe Museum. Patek Philippe is a brand of watches, based in Geneva. In fact, the most expensive watch ever sold was a 1933 gold Patek Philippe, for $11 USD million. Don’t worry – you don’t have to shell out that much cash to get a Patek Philippe. The cheap versions start at about $10,000 USD. The museum has four floors of displays on keeping time. The ground floor contains actual work desks & tools used in the early days. 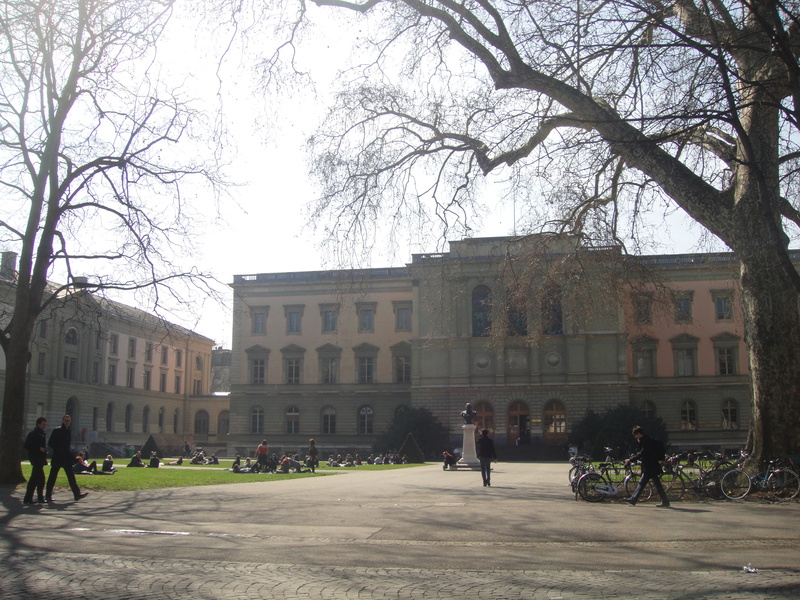 The top floor, 3rd floor, contains the archives and a library. The 2nd floor has the antique collection. The 1st floor holds time pieces from the last 150 years. When Gabe’s cousin, Couch Surfer , was here, we caught a Patek Philippe visit late Saturday afternoon after her 4:20 train arrived, knowing it would be closed Sunday and Monday. It was a worthwhile stop. My favorite pieces were the timepieces for women, discretely designed to look like necklace pendants. Unfortunately, we couldn’t take photos inside the museum. However; from this video, you can get a gist of the miraculous pieces contained inside. 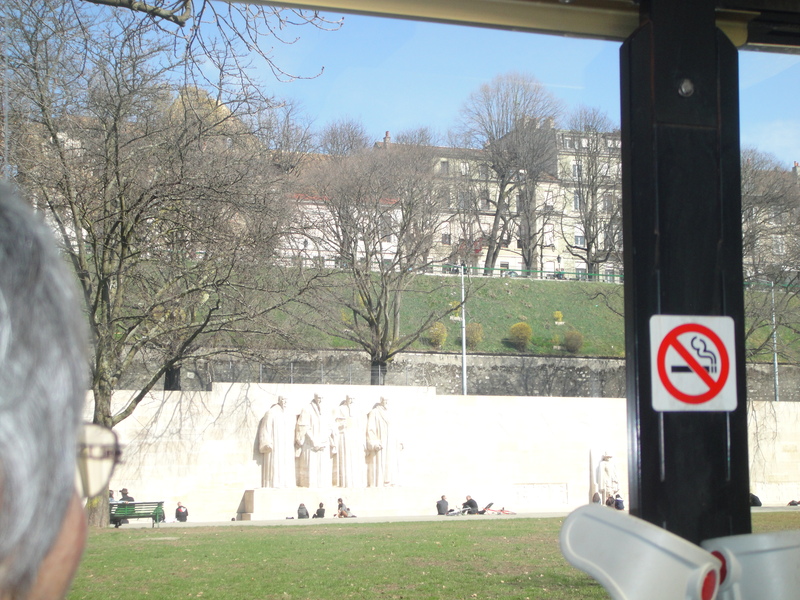 *Sunday and Monday, most of the museums are closed in Geneva. Plan accordingly with your visit if you want to hit museums and tours. We have lived here so long, we sometimes forget some of the fascinating differences of European life. Today, we’ll examine the European hotel room. 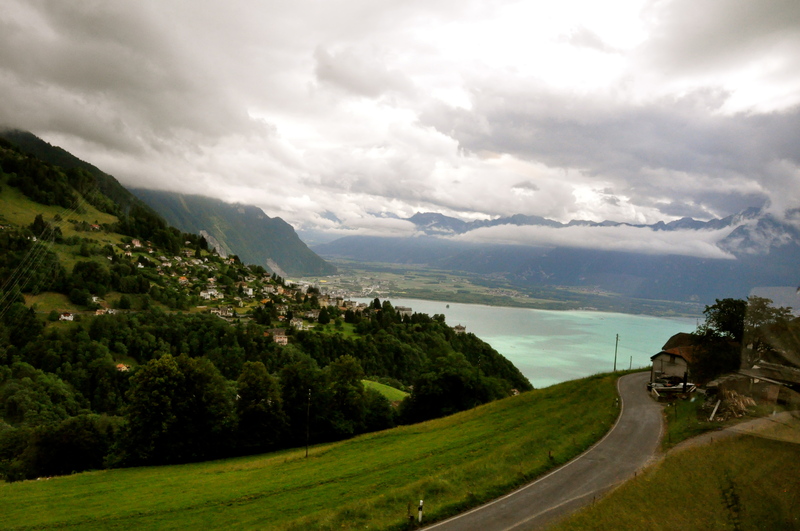 In Switzerland, most hotels that we stay in are owned by families instead of corporations. It makes for an endearing special stay and you know you are supporting local business. Check in and Check out times – they are usually posted and you need to arrive and depart in these parameters or otherwise, the desk might not be staffed. Payment – usually always after your stay. They don’t usually ask for any credit card or ID up front. The Swiss are very trusting. Language – don’t be surprised if they don’t speak English. But they are friendly and always willing to help. Usually its straightforward. Get key. Return key. Pay. 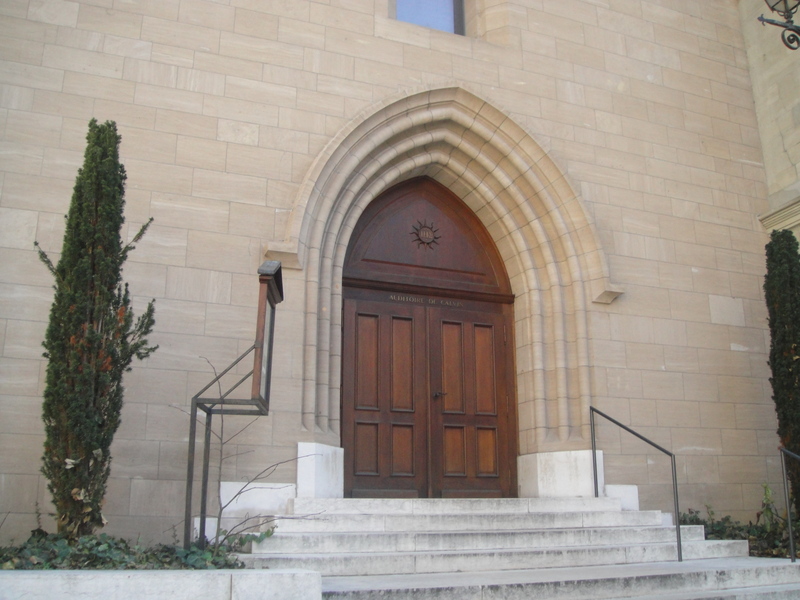 However, our biggest challenge was in Verbier where we had to understand door codes, access times, etc and I was glad for my French lessons then. Especially when we couldn’t figure it out and had to ask the reception lady to come give us a demonstration. Beds – usually a double room has two twin beds pushed together with their own comforter. Gabe likes this as I am a cover-hog so he is ensured a comfortable sleep in a Swiss hotel. Bathroom – don’t expect soap or shampoo. Be surprised to find both. Sometimes they combine hair/body getl in in a dispenser in the shower. So, look there before panicking. One time, we stayed in a place that had no soap, shampoo or towels. I quickly learned to bring extra in the future, just in case. I have not found conditioner yet. Bring your own if you have long hair! Hairdryers are rare in Swiss hotel rooms. Check ahead if you require one. Bath linens – you won’t get a washcloth. Europeans simply don’t use them. One of our friends who lives here says “if they want to play that game, I’m just going to wet the entire hand towel”. And so do we…..
Breakfast – most of the time included in the room rate, but not guaranteed. 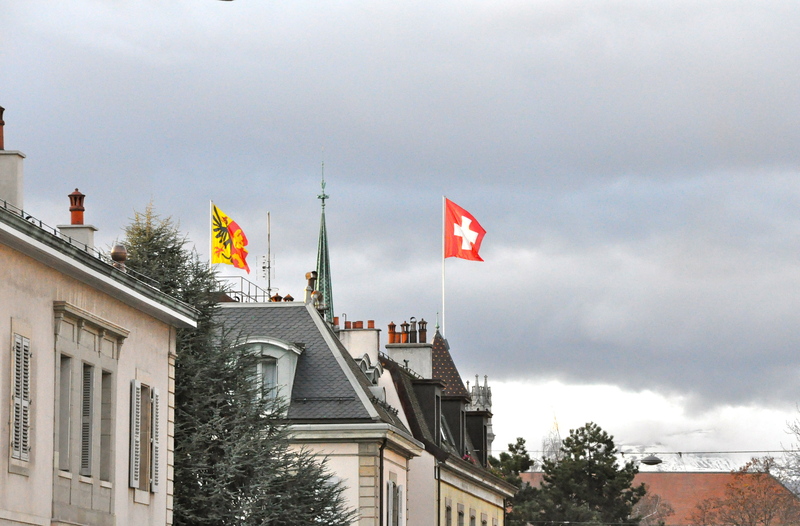 It is more likely that it is included in Switzerland than other areas of Europe. Many small hotels will put your group name or room numbers on your reserved breakfast table. So, be sure to look for that when entering the breakfast area. It is their way of ensuring that the tables are used efficiently as they have limited space. Typically they serve a buffet of cereals, yogurts, breads, cheeses and meats. Sometimes there are hard boiled eggs. And sometimes they have raw eggs and you have to boil them yourself. One of my favorite discoveries is Birchermüesli. 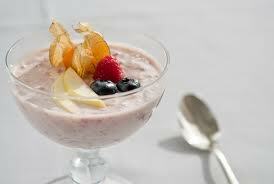 Its yogurt with granola and small fresh and dried fruits. It looks a little gross but it is one of my new preferred Swiss breakfast items. They usually bring carafes of coffee and milk to your table. Also something to look forward to – they usually heat the milk that they serve. It is a nice perk. Typically, you’ll find a small plastic bin on the table. It’s for trash – for your tiny scraps / papers. This has been interesting to our guests. Speaking of waste, it is more proper in Europe to take small portions of food at a time in a buffet type setting. It isn’t looked upon kindly if you leave tons of food on your plate like is common in the US. Also, most breakfast rooms have signs indicating all food must be eaten in the dining area. So, it isn’t allowed to grab-and-go for later. I have been guilty of this in the US with taking a piece of fruit for a snack later. I feel like it isn’t as frowned upon back home as it is here. Our most recent guests inquired why they don’t have pancakes, bacon and eggs like they do in America? Answer: It is just not their thing. We haven’t seen this type of breakfast since we left the States unless its in our own kitchen. 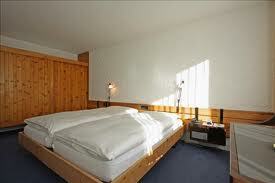 However, although slightly different, we hope you enjoy the Swiss hotel experience!